Equalities Work is the new charity based at The Foundry to engage the public through collaboration between campaigning, advocacy, education, advice and arts organisations. Equalities Work has linked with neighbouring arts charity Beaconsfield Gallery Vauxhall, an arts organisation established in 1994 for the development and presentation of contemporary art. Once a shoe-polish factory, this building has been converted into conference and office space for social justice organisations. Parts of the old building still remain in the centre of the building, which have inspired The Foundry’s roof top logo. 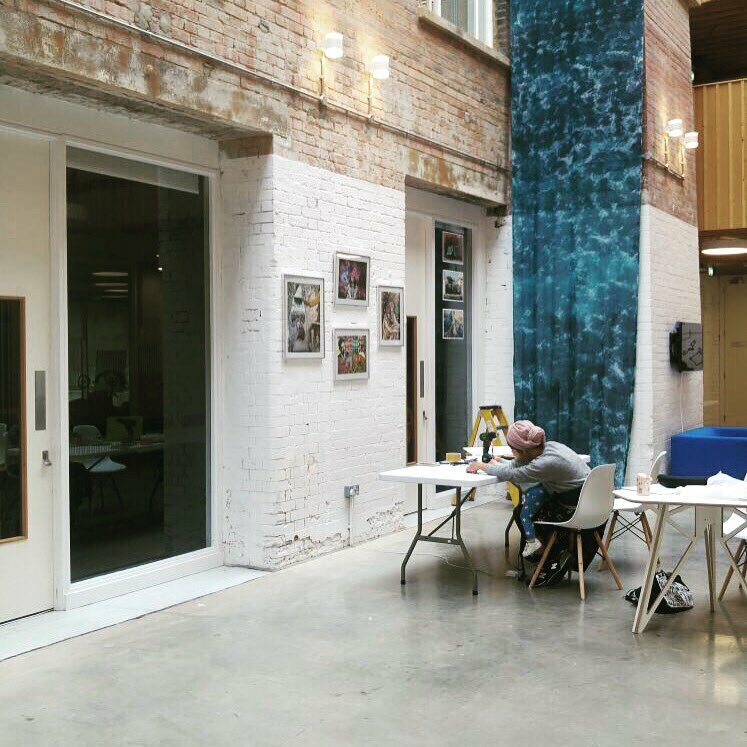 Our light and spacious Atrium provides the perfect location for artists to exhibit their work with a great view from all floors. Mimosa have a small cafe onsite and offer a full catering service which is ideal if you want to host an opening for your exhibition. Their menu includes a wide selection of food and drinks including vegetarian, vegan, halal and a wide range of ethnic food. In addition, all tea, coffee and sugar is fair trade.